Keeping our locks luscious can often be difficult and time consuming. Luckily for us, the Chinese have found a sweet way around all the hassle. 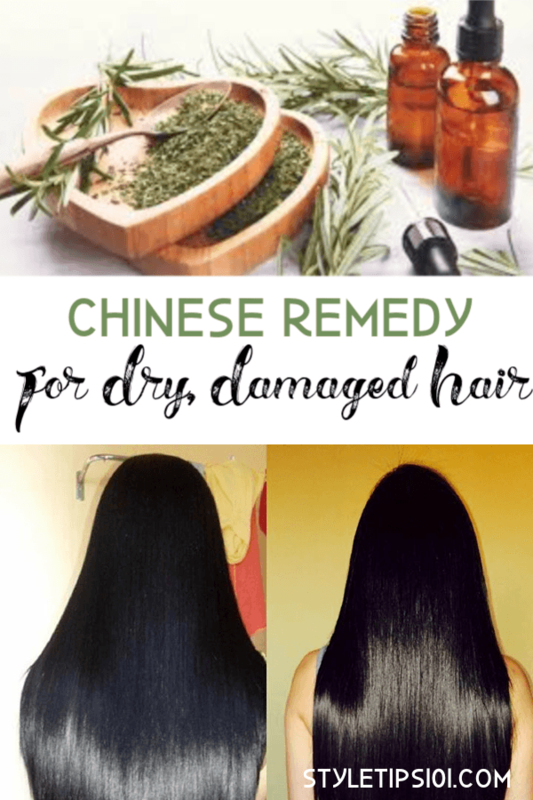 If your hair seems to take ages to grow, has lots of split ends or is simply thinning drastically, this Chinese remedy for damaged hair will surly reverse all the damage. This hair mask can be used about twice a week for amazing and quick results. You can use it often because it’s all natural contents do only good for our beloved hair. The Chinese are notorious for their ancient history of prolonged life and beauty. This is because they base most of their products off of natural items which can be found locally. They have been deemed the Masters of long lasting vitality and for this reason we are taking hold of their tips and tricks and giving you a simple solution to damaged hair. In a medium sized glass bottle, mix the 3 ingredients together. Let it sit for a few hours if you are using fresh rosemary leaves. Once ready, apply the mixture to your scalp and massage for a few minutes. Run the formula through your hair all the way to the tips. Let the mixture sit for a an hour or two or if you like, overnight. Wash thoroughly with warm water once done. Repeat about twice a week for best results. Coconut oil and castor oil have long been known to heal things such as dandruff, thinning hair and split ends because of its high content of omega 3 fatty acids. This Chinese remedy for damaged hair not only helps hair grow in places it has fallen from and fortifies the strands, but it also brings large amounts of vitamins and proteins as the rosemary contains vital nutrients. Try it for yourself and don’t forget to share!